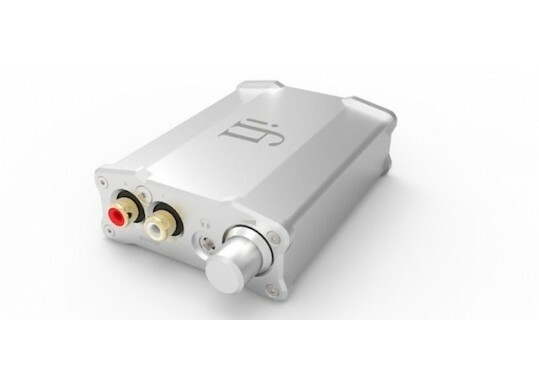 Remarkable DAC for extremely sensible amount of money. Its portable form belies its bleeding-edge technological design. With the latest breakthrough True Native® technology from AMR, the music format remains unchanged throughout. PCM (32bit/384kHz), DSD256 (11.2MHz) and DXD (384kHz) via Computer or iPhone/iPad/Android simply sounds stunning; opening up a whole new world of high-end audio quality to a whole new generation of users. The Burr-Brown DAC chip used was developed by BB Japan and BB themselves (as opposed to BB/TI). Though the product introduction was post-merger, this chipset represents Burr-Brown’s “swan song” for the best of their converter technology and remains to this day, held in high-regard. Having a chipset able to play all formats would count for little if this was not all executed natively; without conversion from one format to another. Using trickle-down technology from AMR (who drafted the chipset code) to drive this Burr-Brown chipset, the original music format remains unchanged which is essential to attaining the zenith in high-end audio reproduction. Computer-audio playback is advancing at breakneck speed. The iDSD is at the cutting-edge. • PCM from 16/44kHz all the way up to 32/384kHz. • Quad-Speed DSD to 11.2/12.4MHz. • DXD up to 384kHz. Such a multi-talented DAC is seldom seen at any price which just goes to show the iDSD is state-of-the art, despite its affordable price. The latest advancements in Smart Devices such as iPhone/iPad/Android has transformed them from a mobile phone to a portable, high-end Computer Audio Source*. These Smart Devices are able to natively encode and transmit high-res PCM/DSD/DXD audio. As the iDSD is able to natively decode the same, this high-end ‘Transport+DAC’ combination offers astounding sonics yet is all just palm-sized and able to be enjoyed on the move as well as at home. Below are some screenshots taken with iPhone 4S with Onkyo HF Player > Camera Connection Kit > iDSD. As you can see, each high-resolution format is beng replayed, even DSD on 5.6MHz (the iDSD actually plays all the way up to 6.2MHz!). *With the relevant software and connection cables (such as Onkyo HF Player and Camera Connection Kit). Please contact your phone manufacturer or iFi for more details. The iDSD features an onboard lithium-polymer battery. This offers two distinct advantages. First, sonically-speaking, the iDSD is able to run on battery power for excellent sonics over generic noisy mains. 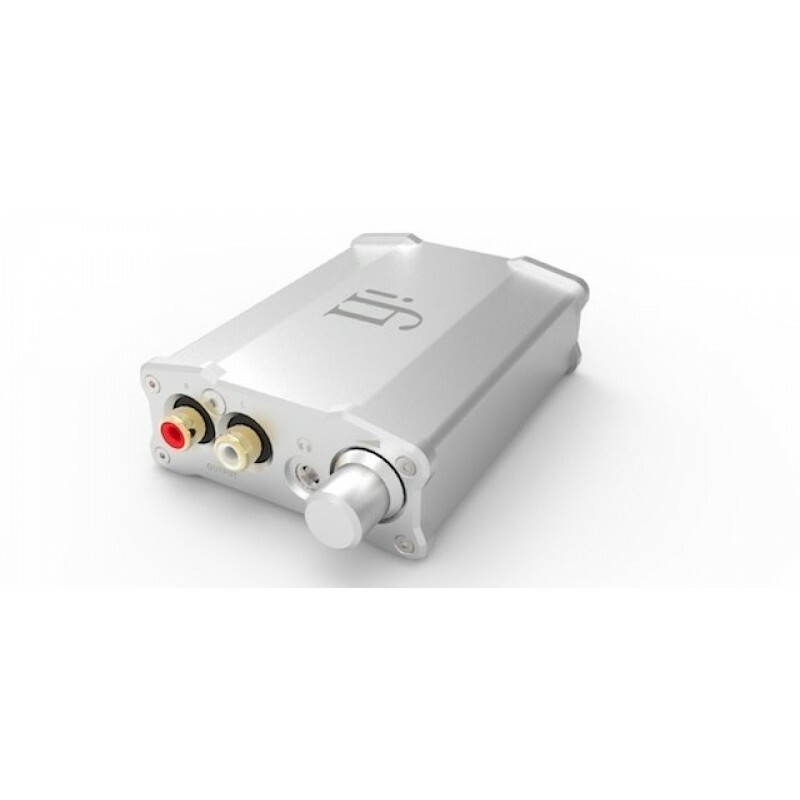 Second, the iDSD via its powerful 80mW headphone amplifier offers high-end, portable audio enjoyment. However, for ultimate sonics at home, it is also possible to run off the iUSB Power (via USB port) just by powering on the iDSD prior to connection to the PC. The iDSD offers the best of battery and iFi USB power. There are clock crystals and there are the clock crystals in the iDSD. The ‘clocks’ used in the iDSD which have been supplied by AMR, are military-grade temperature compensated master clock modules which avoid the creation of unwanted beat frequencies. Such crystals reduce overall digital noise and push jitter to the vanishing point. These clocks have been specifically-sourced from the telecommunications industry where standards are far more exacting than those in the industrial sector (which normally supplies to the audio industry). Expect the iDSD to sonically compete with far more expensive DACs. Its smooth, ‘analogue’ sound is in large part, due to the overall quality of its components such as its special clocks. Just like other products in the range, the iDSD benefits from AMR trickle-down technology. To lock-out jitter,the iDSD does not settle for Asynchronous USB transfer alone. To truly cancel jitter, it also employs AMR’s Zero Jitter® Lite technology from the famous AMR DP-777 which has Asynchronous as the starting, not finishing point. Rest assured, the iDSD (and all other iFi usb products for that matter) don’t do generic implementation. This is why they are all so sonically satisfying. The iDSD very visibly features a built-in precision analogue volume control which is more than a match for anything found at twice, even thrice its price point. Its smooth action reflects its smooth sound. It sure delivers the sonic goods. 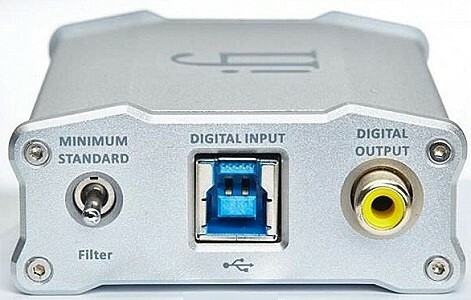 The iDSD is not only able to supply an analogue signal, but its digital coax output means it can feed any suitably-equipped coax-DAC such as an A/V Receiver, to play high-end computer audio. 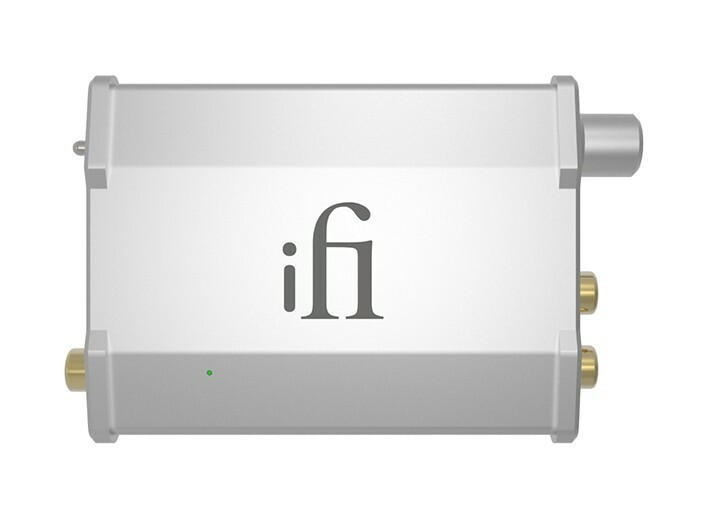 This versatility is typical of iFi and offers tremendous longevity and flexibility. * depends on sample rate and volume setting. Your Inquiry about iFi Audio iDSD Nano DSD D-A Convertor/Headphone Amp is Successfully Submitted.